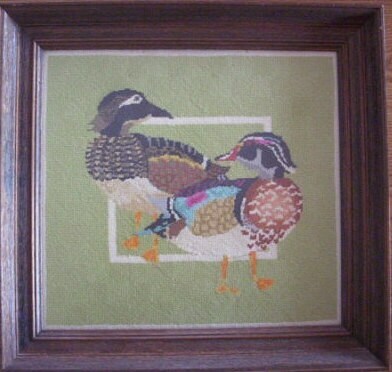 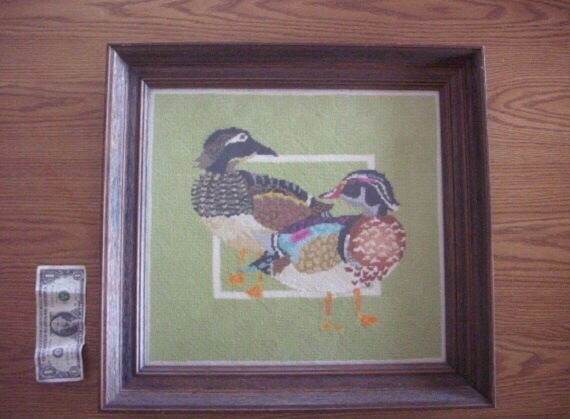 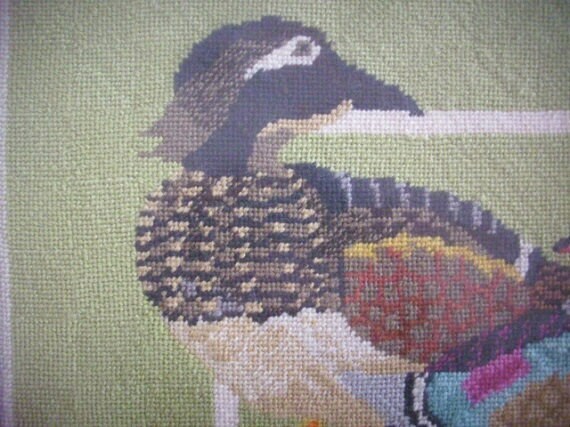 Incredible needlepoint piece featuring two large ducks against a green background. 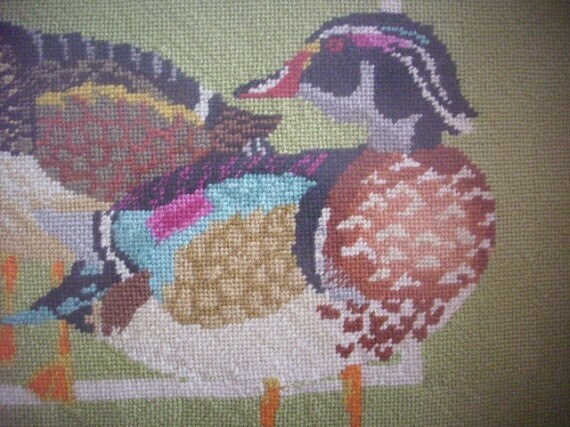 The ducks are centered against a light and dark green checker board pattern. 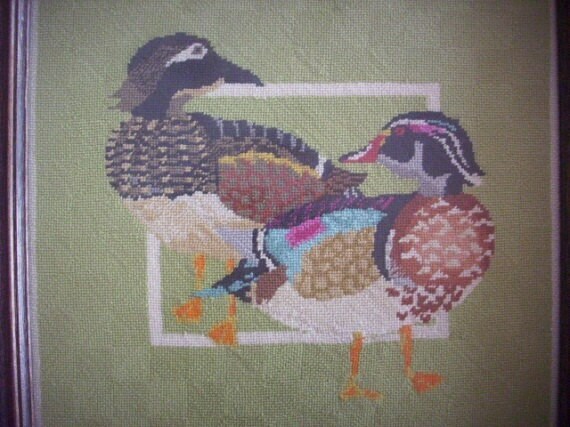 This needlework is done in a variety of yellow, green, and brown colors.